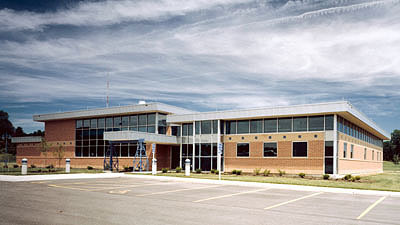 This building was designed to accommodate the laboratory on one side and administration on the other, joined together by a common mediating entry, reception, and employee break room spaces. The laboratory design incorporates colorful flexible metal workstations with epoxy counters in a large open space. The administrative offices were designed to provide quiet environments and the center of the office wing serves as a common file and staff support area.